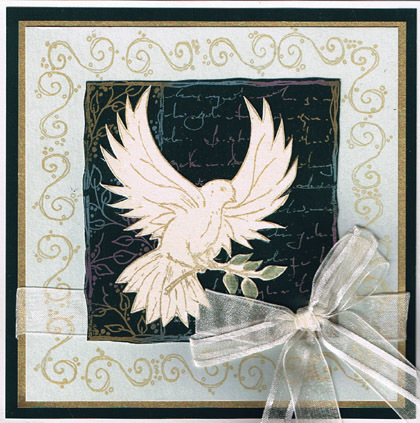 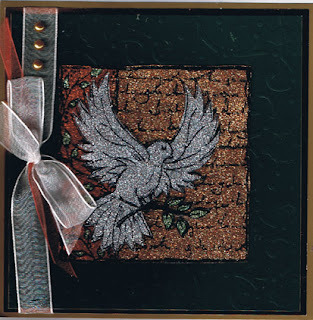 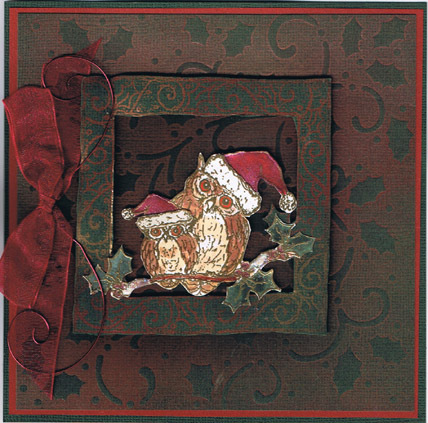 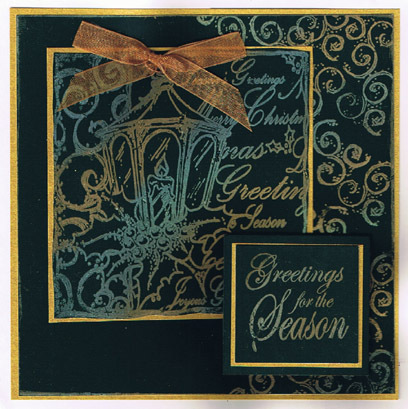 Dove Decoupage, with the New colours...Silver, Metallic Sparkle and Bright Copper, the back ground is on our New glossy green card, using Holly swirls through a die-cutting machine. 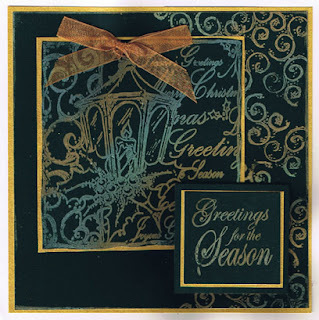 Lantern Decoupage with the new colours with Sage Green for the holly, on the New Gold card again embossed with holly Swirls. 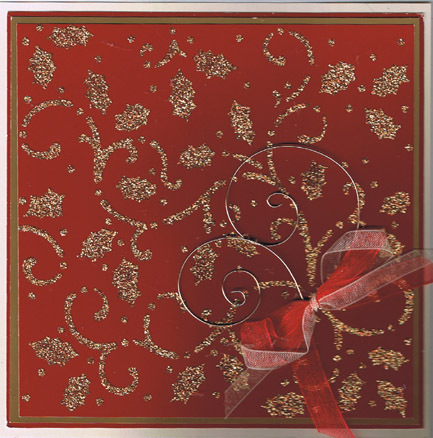 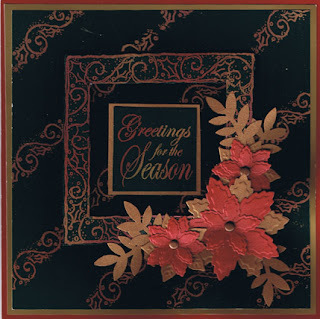 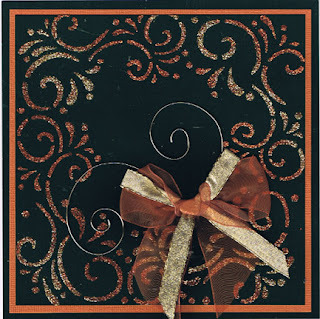 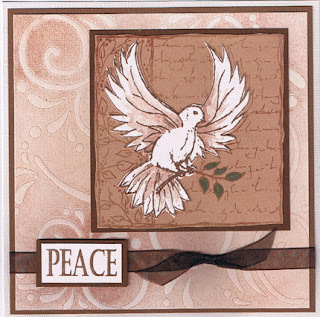 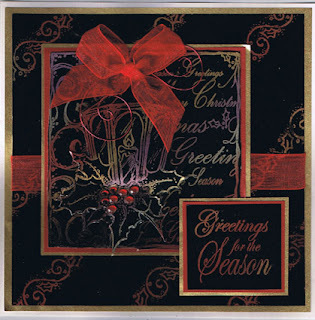 Flourishes Stencil tri sweeping with Bright Copper,Metalic sparkle and gold, Sparkle mediums, on our green glossy card. 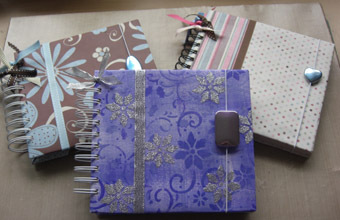 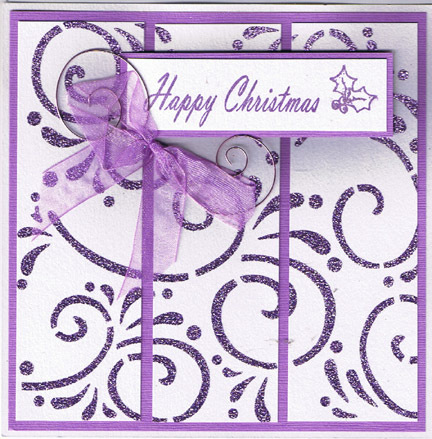 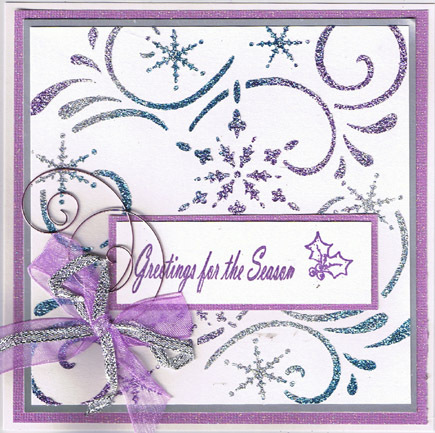 Flourishes with Lavender sparkle medium built using three panels...notice the Stencil is almost re formed again.. Flourishes using the tri sweeping method with Sage green,.Metallic Sparkle and Bright Copper Sparkle Medium,...this to me has a real Autumn feel to it....ok so Spring to mention and then we have all the seasons in the same Blog!!!! 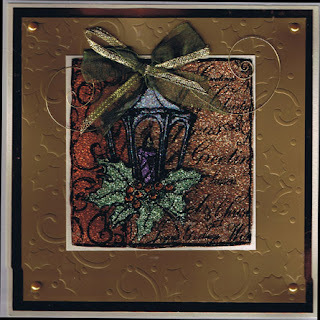 Over the next few days I'll be sharing with you some of the samples for our next show on The 21st...Yes Next tues at 4pm... Sue tries hard to show all of the samples ...but there simply isn't the time so here on the gallery on both blogs you can take your time and scroll through them..
Decoupage Lantern,sweeping technque on black glossy card, Back ground diagonal stamping with mica powders . 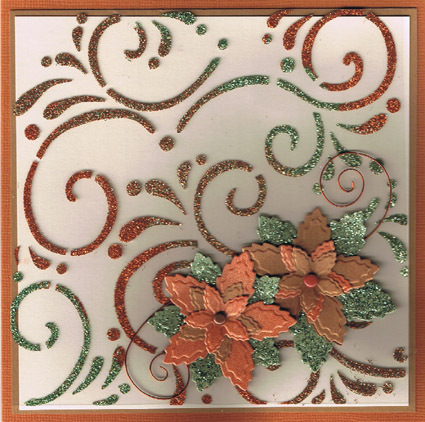 This time just the border used fron the cottage, diagonal sweeping background , and poinsttia die cuts for the flowers brads for centers. Decoupage Lantern Mica sweeping with green and gold mica from Nature set..
so we are now blog hopping to mine for some more. hop across follow the link http://tech-design-studio.blogspot.com// and join in..